Our savory meatballs made with Pioneer® Brown Gravy Mix, make for an easy, comforting, budget-friendly, family meal. In a large bowl, combine ground beef, Italian bread crumbs, salt, and milk and knead until combined. Form mixture into 2 ounce meatballs and set aside. In a Dutch oven medium heat, add vegetable oil. Heat oil until shimmering. Add meatballs and brown lightly on all sides, about 5 minutes. Add onions and sauté over medium heat until golden brown, about 3-5 minutes. 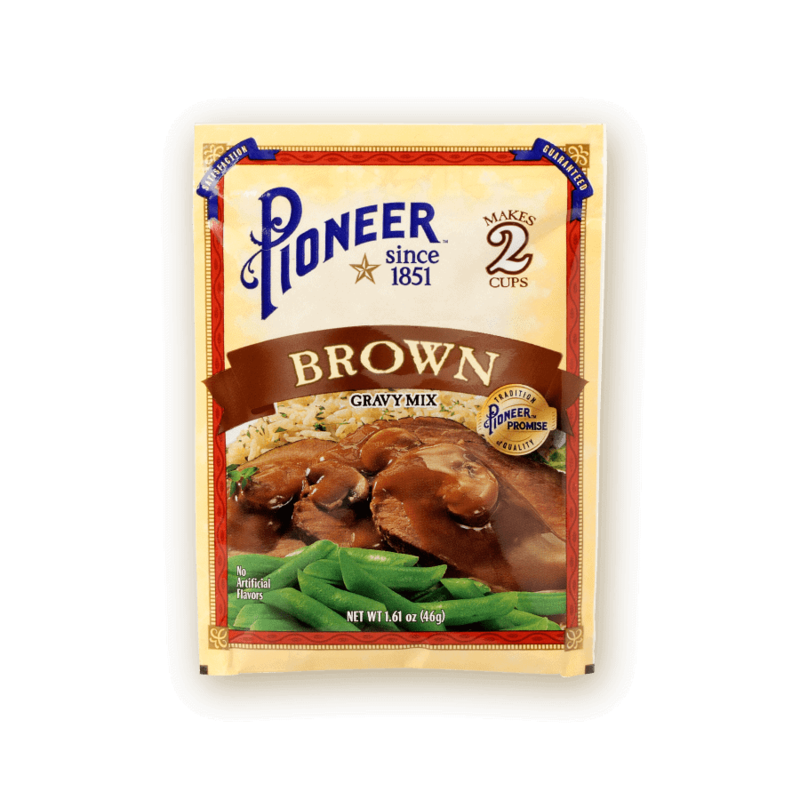 In a separate container, whisk together Pioneer® Brown Gravy Mix, Worcestershire sauce, ketchup, and 2 cups water. Pour mixture over meatballs and slowly bring to a simmer. Allow to simmer for 10-15 minutes or until meatballs are fully cooked.